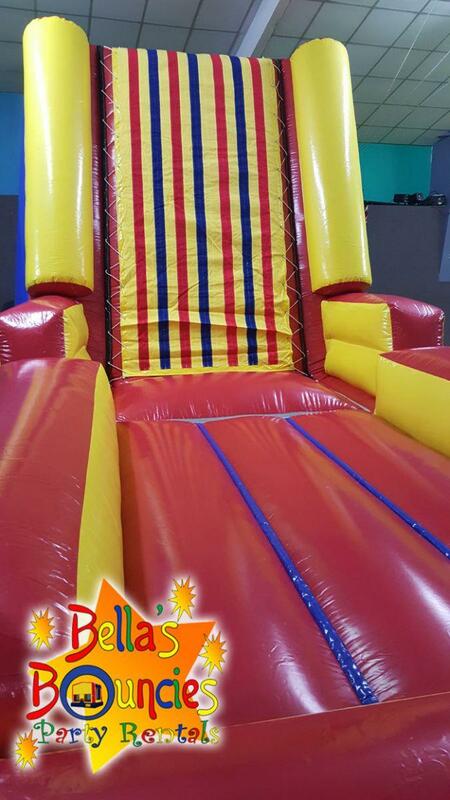 The Velcro Sticky Wall will have your guests talking about your event for days! This inflatable attraction is a giant, oversized Velcro wall. Participants step into a multi-colored, striped sticky suit, which has corresponding Velcro straps, and sprint down the runway. 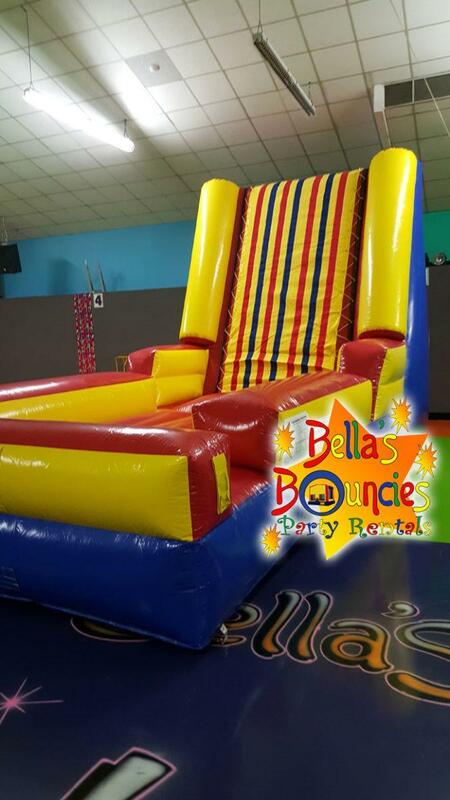 After they get some air with a good bounce, guests will find themselves hanging around on the 12-foot Velcro wall. The suits and the wall are made to hold both adults and children, and offer a great bond experience for parents and their kids. 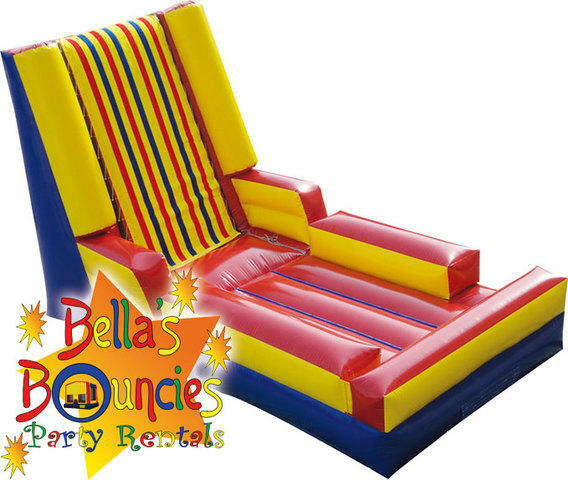 The bright, bold stripes and the red/yellow walls of this inflatable game will capture the attention of every passerby and fit into any theme or color scheme. Perfect for a large corporate event, or a neighborhood party, the Sticky Wall is sure to impress and give guests an experience they will never forget. If delivering to a yard with a fence, you must have a minimum 4' gate opening. While the inflatable itself can go on grass, the velcro suits cannot be laid in the grass. They must be placed on a tarp, concrete, asphalt, or used indoors.